I’m on the road to Las Vegas, missing everyone I know attending the New Media Expo by 6 to 18 hours. Oh well. 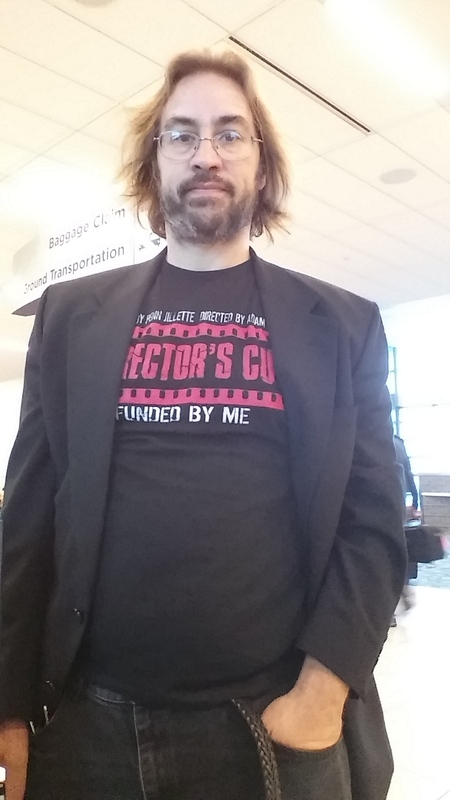 Note the Director’s Cut t-shirt for Penn Jillette’s movie. It’s the most Vegasy garment I own.